When focusing on food in North Carolina, many of us want to go for barbecue, doughnuts, fried chicken, and sometimes during the same meal (don’t judge!). But during a recent trip where we scoped out healthy places to eat in Charlotte, we found that folks who like lighter, more plant-based options can join the fun, too. It’s not all salads, either, as these restaurants have incorporated healthier alternatives into some of the most familiar and comfortable dishes you can think up. And honestly, you don’t really have to look hard, because you’ll find them scattered throughout the Queen City. We’ve also included some of these health-conscious Charlotte restaurants in our weekend guide to the city. Seitan chicken and waffles. MMMMM. 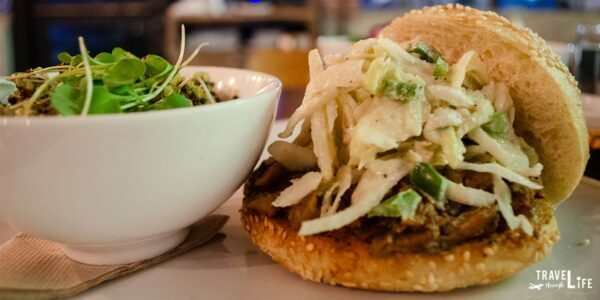 Southern food is not just for carnivores, as you’ll find at Fern, Flavors from the Garden. 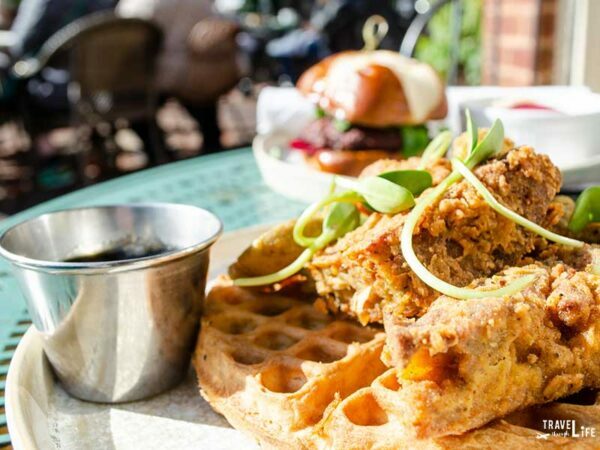 Seitan chicken and waffles and Panko-crusted Violife mac and cheese top our brunch rankings, but there are plenty more dishes to explore throughout the day. If you’re coming hungry, reserve a table in advance because this place fills up. Over on Belmont Avenue, Siggy’s Good Food takes organic ingredients and offers eaters a delicious Mediterranean menu. Carnivores, vegetarians, and vegans can all partake, and all menu items (except some bread) are prepared gluten-free. Whether you’re digging into a sandwich, a salad, or their banana pancakes, you know that it’s going to be good. 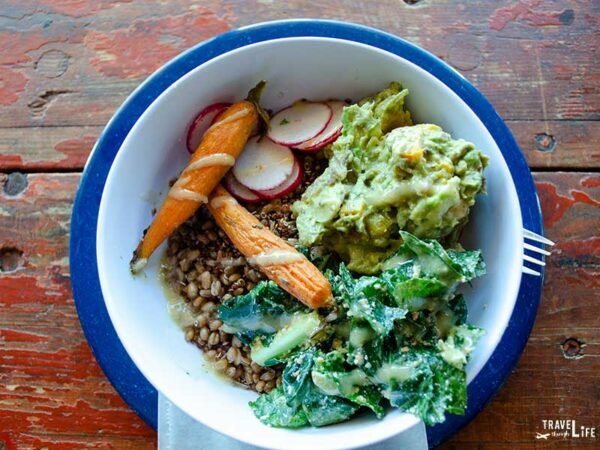 A delicious and pretty grain bowl from Earl’s Grocery. On Elizabeth Ave near Piedmont Community College, Earl’s Grocery combined a market and café to create a kitschy yet accessible place to grab a quick meal. You can dig into various salads, their Pick Up the Tempeh sandwich, and the delicious grain bowl we sampled for breakfast one morning. 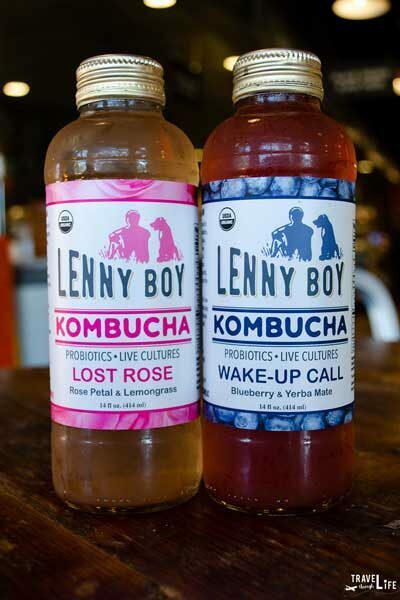 Also, the market is home to things you can grab on the go, like the locally produced Lenny Boy Kombucha. We’ve been excited to try Living Kitchen ever since they opened up in Raleigh, which at the time of writing was the only other location. 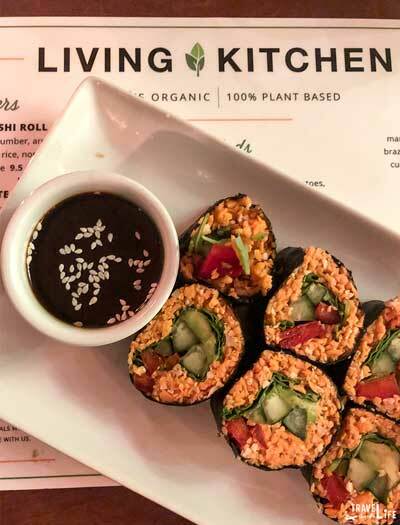 If you do some digging into LK, you’ll find their mantra that reads, “food is a labor of love.” After devouring their Sweet Potato Sushi Roll and Yellow Curry Bowl, I tend to agree with them. Got any more standalone favorites to share before we get into our picks from 7th Street Public Market and on the go? Let us know in the comments section. We’ve given a lot of love to 7th Street Public Market and think you should include it during every trip you take to Charlotte. 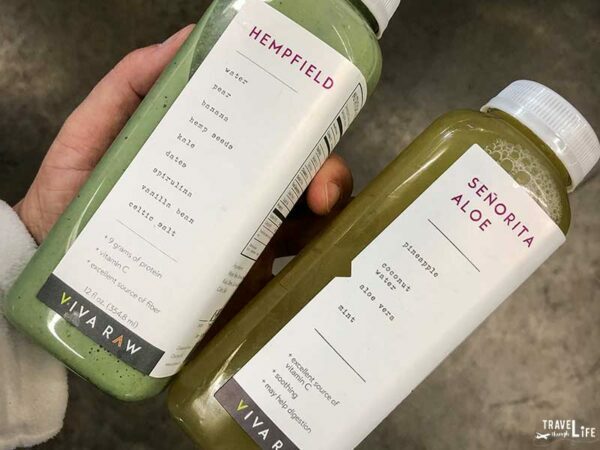 Start with a bowl from Rico’s Acai and some juice from Viva Raw, with the latter proudly declaring themselves as “The New Milkman.” Pure Pizza offers gluten-free crust and locally sourced ingredients while Hazelnuts offers vegetarian and gluten-free (optional) crepes. Most of these vendors have multiple locations but we’re thankful that you can find them inside 7th Street Public Market. You can reach it by LYNX Light Rail or by taking a short walk from some of our hotels that include Hilton Charlotte Center City and SpringHill Suites Charlotte Uptown. Those are a couple of places we’ve stayed and enjoyed ourselves! Lady Go-Go’s is where you should start when looking for a healthier food truck option. Their version of Mexican street food comes with a vegan twist. It’s so delicious that any carnivore would never know there’s no meat. As you see, many of the best restaurants in Charlotte are dishing out healthy, even strictly plant-based dishes. We can’t wait to keep revisiting the Queen City in search of even more and look forward to sharing them with you. But for now, which of these spots would you visit first when looking for healthy places to eat in Charlotte? This post originally appeared on our blog’s sister site NC Tripping and is part of our series on Food Travel, places to visit in North Carolina, and Charlotte Travel. Special thanks to Charlotte Regional Visitors Authority for providing us with complimentary accommodations and meals throughout our stay. All opinions within this article are our own. 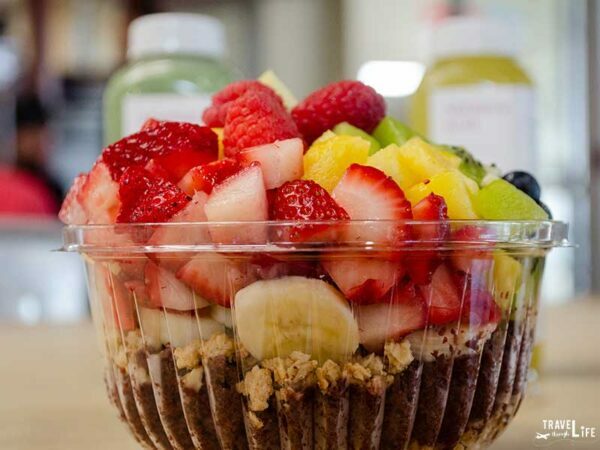 Now, let’s go to our favorite healthy places to eat in Charlotte.